Gwen Stefani's great taste for all things 'fashion' spreads to her preeminent shoe label L.A.M.B. Whilst I am not a frequent wearer of knee-bending, ankle-chafing high heels, I find that these dashing pairs appeal to those who value comfort as well. I would gladly step into one of Gwen's trendy pairs of ankle boots, particularly 'Thacker', with its studded and chained straps that are exemplary of the singer's edgy and modern grunge style. The brand uses high-quality materials like supple leather and soft suedes with chic metallic details that define that cool but gritty rock 'n rock vibe. This season, multi-straps are a must-have with voguish caged stilettos, tribal inspired tie-ups, braided bands and laddered ankle-straps. Amidst the black, white and burgundy pairs, we find powder blue and lemon edged pumps that will uplift any solid-toned outfit. Prints make an animalistic appearance with leopard, dalmatian and houndstooth patterned pairs. Not forgetting those with a sportier disposition, Gwen's high-top sneakers have been sold out and restocked a number of times. Geometrically slanted stilettos will have you a step ahead in the office and elegant monochromes will have your evening out styled to precision. This is a look at L.A.M.B. 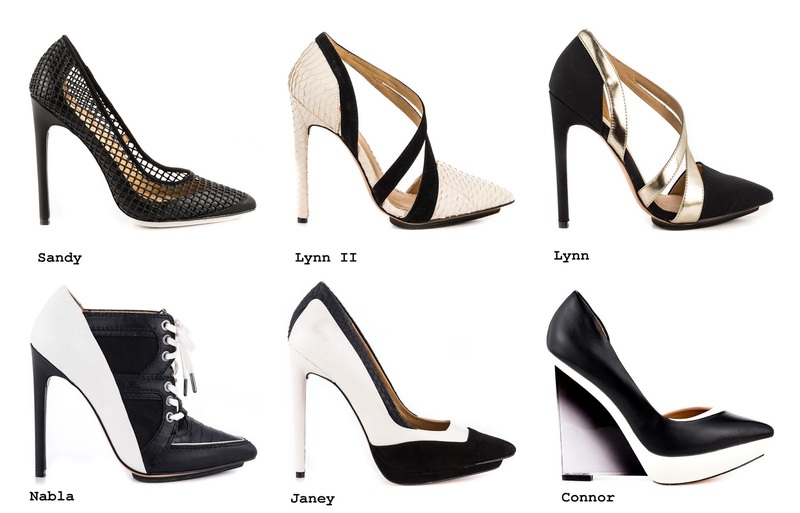 's tempting Summer/Fall 2014 shoe range. L.A.M.B. shoes cost between $240 - $390, which in our Safrican currency would be considered relatively reasonable for designer heels. Get them on sale for under $160 on the official online L.A.M.B. store or shop the latest range at Heels.com. Which of these L.A.M.B. Heels are on Wishlist? Nice selection doll do you know I nominated you yesterday for Very Inspiring Blogger Award I did left a message. I love them all! they are so beautiful! OMG! I love love love them!!! Omg LAMB shoes are soooo fab!! Love the strappy ones! I didn't know she still had the LAMB line! Love the strappy ones! wonderful shoe collection sweety! love the strapped in set! Amazing shoes! I love the boots! Hi Sam:). I'm dying and on the hunt of the shoes for fall, so the Bet your Boots, the chic Geometrics and the strapped In are on my way to shop for, which I've already bought some:). You can wear the mix print for sure dear Sam and will also look wonderfully on you too, We both have the same type of body! Wishing your week is going easy for you so far:). Amazing shoes.... I love the Larson model!!!! Sam! all these shoes are so awesome!!! love how you categorized them! I think I'm loving the chic geometric and ankles wrapped groupings!!! I did not know about Gwen Stefani's new brand but I'm so loving it! they have an amazing collection and the prices are not bad for desginer shoes at all! Very awesome shoes dear! Love this. Go Gwen and go Sam!! These shoes are great!! One of my favorite things about fashion is discovering amazing labels like LAMB and then figuring out how to get a similar look on my college-student budget. The Tessa is my favorite - outfits with a touch of rock and roll are so exciting:p I'm glad I found your blog! I can't choose the best one,all of them are marvelous! The Nabla black and white bootie is my absolute favourite!! ufff. my obsession. Would wear most fo them!! I love those shoes!!! My fav are strapped in! so cool! WOW! These are stunning!! I want too many of them! These shoes are awesome! Fourth are the best in my opinion! ooh so many of these i am just smitten with!! The second set is my favorite by far! Oh my, I can't even choose, all of them are beautiful ! 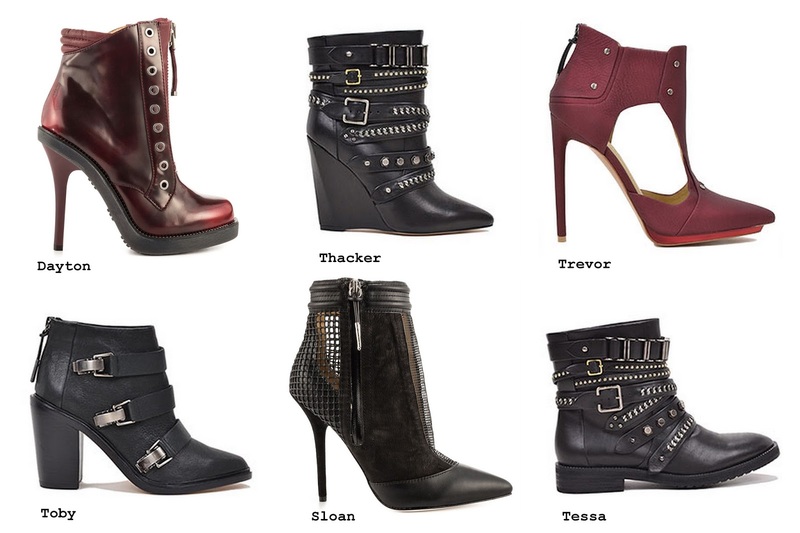 LOVE the Thacker boot. All of the styles are so edgy. O.O how many amazing shoes!!! I love especially the first and second one! They always have really cool models but for some reason i've never owned a pair... maybe it's time to change that! ooh..I love the Theo and all the ankle wrap styles. Beautiful shoes. Hope your week is going well, Sam. I think I like good ol' Jean the most! omg i love all of them.. so many styles in one collection!!! now these look all killer cool! Great post! So many awesome shoes. Hope you have an amazing day! So many lovely shoes...I can't pick a favorite! Love the high heeled boots and the strappy sandals, so fab! what a fun post! the heels with the laces are my fav! so cute! The edgy and the monochromatic for me, please!! All text written by me unless stated otherwise. Please do not copy without permission. Simple theme. Powered by Blogger.